As the minerals boom wanes, mining charter and offshore operators face a new set of safety and operational challenges. Just a few short years ago the boarding lounges of Perth Airport were a riot of fluorescent colour as thousands of fly-in-fly-out (FIFO) workers queued for their early morning commute. The queues are shorter now, and the airport coffee slightly cheaper, as a historic mining and energy construction boom settles into the quieter production phase. (More telling is a 67 per cent fall between 2012 and 2016 in Karratha house prices, as reported by ABC News.) Outside peak times, the specially built FIFO terminal at Perth Airport is a traveller’s dream, with the steady trickle of passengers able to walk straight up to the check-in desks. From an aviation point of view, the minerals boom of 2003-13 was a time not only of manic growth, congestion and the operational stresses that go with those, but also a time of unprecedented cash flow. Aviation operators in proximity to the mining sector were transformed; Network Aviation, of Perth, for example, went from operating a piston twin and a turboprop twin in 1998, to being a Qantas subsidiary with 14 Fokker 100-seat jets by 2015. Skywest expanded from seven aircraft in 2004 to 24 aircraft, including two Airbus A320s, used for FIFO charter, and became a subsidiary of Virgin Australia. It is now Virgin Australia Regional Airlines (VARA). Alliance Airlines, since its arrival into Perth in 2006, has gone from two Fokker 100s, to a fleet of up to 11 Fokker 100/70s in the region. In Perth, there’s a sense that the easy money has gone. Weekend newspaper features about the end of the boom speak of high-performance utes being traded on modest family cars, and of a glut of second-hand jet skis. Aviation providers say they have not had to take such desperate measures, but they are now dealing with the pressures of transition, made more difficult in the offshore helicopter sector by the grounding of a fleet workhorse, the Airbus Helicopters H225 (formerly Eurocopter EC225). Costs have become an issue again. ‘We have been looking at our contracts in fine detail,’ says Bristow Helicopters engineering manager Neil Seabrook, ‘going over them line-by-line to see where they may have blown out in the good times and paring things back to align with the contract’. But aviation consultant and former airline executive, Bill Meeke, says the end of the boom is in some ways a relief. ‘At 4 o’clock in the morning there were aircraft parked on every available stand at Perth airport. There was just no more capacity,’ he says. Western Australia manager for Alliance Airlines, Russell Bryant, says, ‘There’s been a substantial drop in passenger numbers to Newman, Hedland and Karratha, the “golden triangle”,’ he says. Alliance still operates more than 100 weekly FIFO flights from Perth in what Bryant calls ‘still a very robust business’; however, interstate FIFO flights are sharply fewer, as mining companies no longer scrambling for labour tighten up their ‘point-of-hire’ contracts to prefer workers based in Perth. Bristow has diversified, taking over fixed-wing provider Airnorth, and globally increasing its presence in search and rescue operations. ‘It’s a long-term market and one we’ve traditionally been very good at,’ Seabrook says. A spokesperson for South Australian-based Babcock Offshore Services (formerly Bond Helicopters) emphasised that the company had a wide portfolio in defence and engineering services. ‘This means that although a downturn in an industry may cause a challenging business environment for some, the diversity of our wider business ensures that essential resources such as those to support safety aren’t affected,’ they said. Bryant says the major business change from the height of the boom is how the mining industry has become cost conscious. That creates an interesting dynamic tension, he says. What has prevented the end of the boom from becoming a covert safety risk is the safety culture that aviation and the extraction industries, particularly oil and gas, nurtured and shared during the years of prosperity. 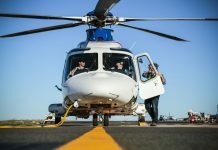 The crossover of oil and gas safety culture into aviation was a strong theme in Flight Safety Australia’s 2011 story at the height of the boom, and this attitude has endured despite tougher times, industry managers say. ‘It’s been consistent, always driven by the mining companies, oil and gas, as part of their expectation,’ Bryant says. CHC helicopters regional director Asia-Pacific, Nick Mair, says it is a false idea that customers are less worried about safety in tight economic times. ‘I haven’t seen any sense that “today’s story is money, safety is yesterday’s story.” That’s testament to a mature customer base,’ he says. Bryant says FIFO providers have learned about safety management in their own operations from their dealings with mining companies. Bryant and Meeke say FIFO passengers are an unappreciated part of the safety equation. ‘Our FIFO passenger is not an RPT passenger going to Bali for a holiday. They are disciplined, they don’t drink and their employers are very strict,’ Bryant says. A business downturn is only one of the problems for the offshore helicopter sector. The crash in Norway of an Airbus Helicopters H225 (formerly Eurocopter EC225) in April 2016 led to the type being grounded. At the time of writing there was no indication on how long the grounding would continue, nor any indication whether the separation of the rotor from the crashed helicopter was due to an aspect of the helicopter’s design, or a combination of circumstances. Although the investigation is yet to present its final report, one detail that has emerged was that the crashed helicopter’s main gearbox was involved in a road accident while being transported in Australia. It was inspected by Airbus Helicopters and returned to service. The 225 has been a popular aircraft with offshore operators. ‘It can do what no other helicopter can do,’ Seabrook says. ‘Other aircraft don’t have the payload and range.’ Mair puts it bluntly: ‘Other types doing the same flight have to leave two or three passengers on the beach.’ And Ferris’s personal opinion is it would be ‘a crying shame if it was retired’. The mining boom was an era of exhilarating growth for aviation in northern and western Australia. Meeke says rapid growth in an organisation can bring its own hazards, one of which he encountered as a manager of an aerial surveillance operation. The first meeting began with an extended awkward silence. Then a worker asked if Meeke knew something everyone in the maintenance hangar did: life rafts on aircraft were failing during tank exercises. ‘It was awash in the swimming pool; there was no way it would survive sea state 3 with seven people on board,’ Meeke says. Mair’s international experience with CHC and other operators has sensitised him to the subtle differences in national culture affecting safety. ‘As a global organisation we have to recognise that cultures are different and we’ve got to manage that. ‘Businesses need to promote a culture which is about open reporting and calling things out,’ he says. Like many in the global offshore helicopter industry, Mair is a Scot. He uses a distinctively Scottish phrase to describe his method of stakeholder engagement. ‘If you ask what I call the “daft laddie” question of the guy crawling around the helicopter—“what are you doing? What’s that thing? Why’s that bit got corrosion?”—very quickly you get into a conversation where the guy is comfortable in one-to-one engagement,’ Mair says. The sample of engineers and managers was consistent in their belief that boom times would not be returning to mining and offshore aviation in the short or medium term. ‘I think the market is close to the bottom, but not quite there yet,’ Mair says, while Bristow’s Seabrook says it appears be a medium-term slump. Bryant says the pause in growth has been a welcome opportunity to take stock and focus on what an aviation business is actually selling. The Fokker 100 is Australian aviation’s version of a migrant success story. As successful migrants often do, it has become part of the fabric of its adopted country. Australia now has the largest concentration of Fokker 100s, with the mining boom years having seen examples of the 100 seat regional jet (and its smaller long-range variant, the Fokker 70) rounded up from Europe, the US, Mexico and Asia. Since 2013, some West Australian miners have been flying unknowingly on the Ford Motor Company’s former executive jet (now VH-JFE), a Fokker 70 that also flew on airline service in Panama. Fokkers now flying mining charters are veterans of airline operations in Brazil, Burma, Turkey and Nepal. The twin engine T-tail Fokker 100 first flew in 1986, and 283 were built before production ended in July 1997, after the bankruptcy of its maker, Fokker. Despite its age, the F-100 has some appealing features for FIFO operators. Its rear-mounted engines are inherently resistant to runway foreign object damage (FOD) and the aircraft was designed to have good short- and rough-field performance. Take-off and approach speeds are low, with a 120 kt Vref speed possible at maximum landing weight. The aircraft can operate from a 1350 metre runway, making it well suited to the hot and high combination of many FIFO strips in northern WA. Rolls-Royce says the Fokker 100’s Tay 620/650 turbofans had the most reliable introduction to service of any of its engines. They remain supported by Rolls-Royce Deutschland and are used in several other widely used types, including the Gulfstream G-IV. The F-100 and F-70 are supported by Fokker Services in the Netherlands. As of September 2016, 47 of the 171 Fokker 100s still in service were operating in Australia, primarily on mining charter. Alliance Airlines operates 16, and eight F-70s, making it the world’s largest operator of the type; VARA has 15; the Qantas-affiliated Network has 14; and Skippers Aviation has two. The other hotspot for Fokker 100s is Iran, where they are flown by Iran Air and Aseman Airlines. The Fokker 70 carved its own niche in the mining boom, specialising in long commutes. 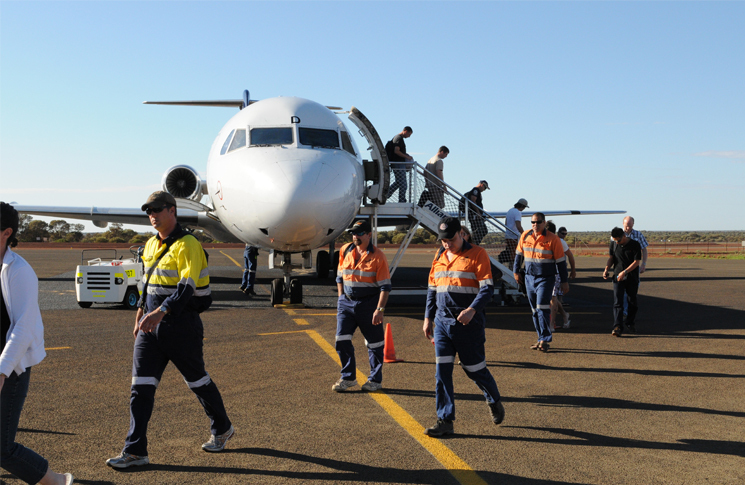 Alliance used one to fly workers from Melbourne to the Telfer mine site in the Pilbara, a 1511 nm (2800km) trip. ‘There’s an enormous amount of support for the type. It’s got at least another 10 years,’ he says. Helping the Fokker’s reliability is a relaxed duty cycle compared to that of regular public transport. FIFO Fokkers typically fly four hours a day, logging in a working week about as many hours as some highly utilised airliners add in a day. However, ageing aircraft issues can affect even the best-operated, maintained and supported aircraft. In March 2014, a Fokker 100 operated by VARA experienced an uncommanded descent and a stuck thrust lever on a flight from Perth to Argyle, WA. The Australian Transport Safety Bureau investigation found that two servos, for the elevator and thrust lever quadrant, had failed on the same sector. The incident prompted Fokker to issue a service bulletin regarding a new servomotor and servomount for the elevator. VARA shortened the replacement life of the servos, from 9600 cycles to 8000 hours. 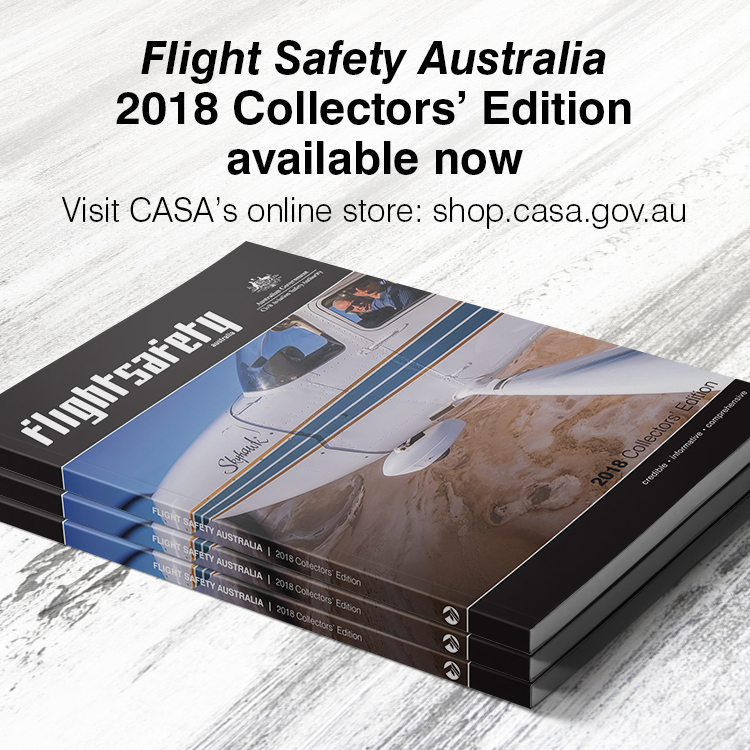 ‘Flight Safety Australia’ November-December 2016 out now!